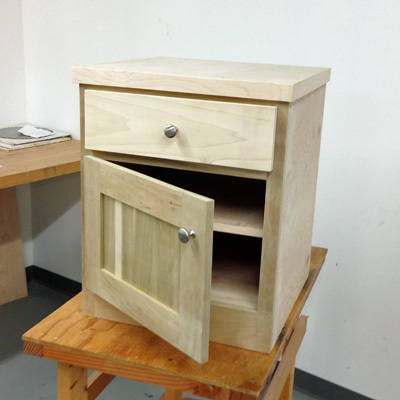 The first 5 weeks of Introduction to Cabinet Making takes the student through the steps of designing and making a basic cabinet from plywood. The student will complete a small bedside table or entertainment stand using the same techniques that would be used to build kitchen face-frame cabinets or bathroom vanities. This cabinet will have finished shelves for storage. In weeks 6 and 7 students will learn to construct and install a drawer. Weeks 8 and 9 will cover cabinet door construction and installation. Mondays, 10:00 am-12:30 pm, May 20 – July 22. In observance of Memorial Day, classes are canceled May 26 and 27.